Welcome to our February classes and workshop schedule!! It’s a great time for gathering, and sharing creative time. If you’re interested in booking a private group outing, or team building experience, please visit our Group Workshop Page. You can also see January workshops here. We are excited to be offering workshops fresh for winter creativity!!! Treat yourself, or grab a friend! Each class is designed as full workshop/experience with class time, and social time.The classes have the time and dates listed below. Please review our refund and cancellation policy before registering. All supplies are provided unless otherwise noted. 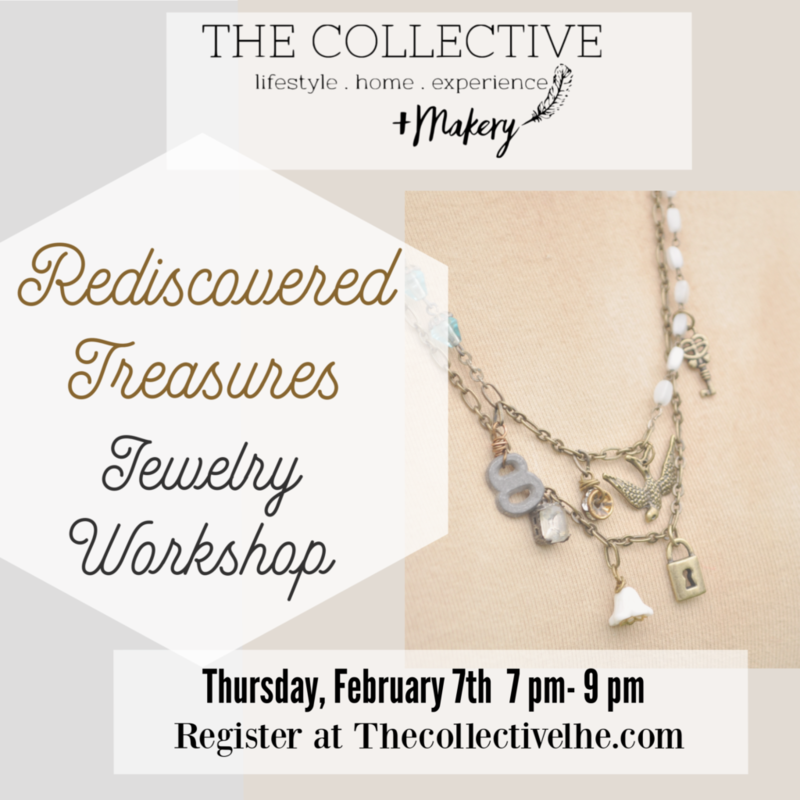 Bring old, broken jewelry pieces and turn it into something new! We'll lead you through basic wire wrapping,laying out your design, and assembling your piece. Choose between a pair of earrings, a bracelet or a necklace. Revive an old piece of furniture. If you can carry it in by yourself, it's the right size for this workshop. 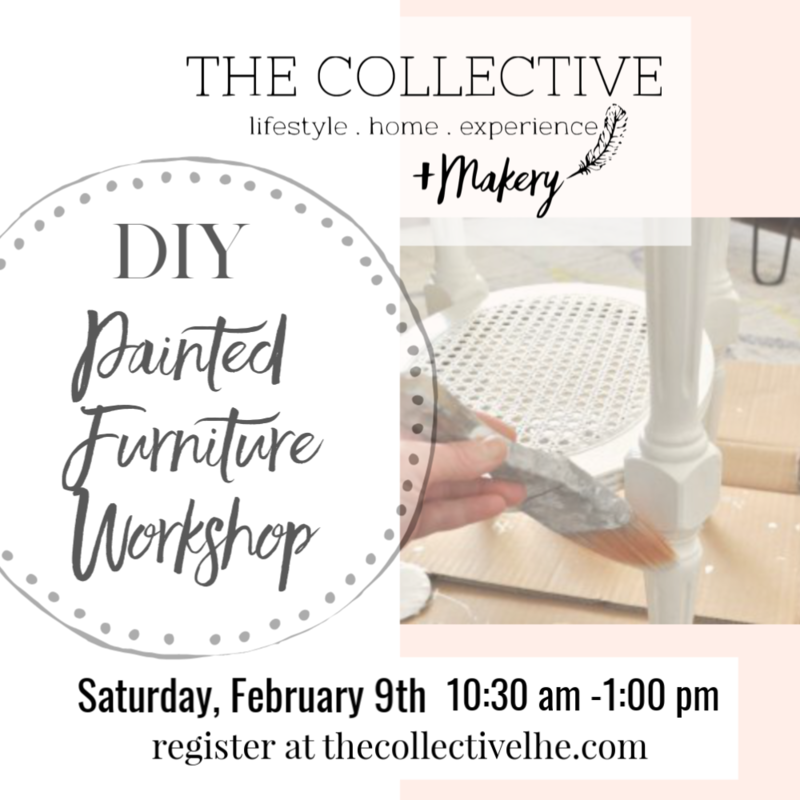 Learn to paint a piece of furniture to give it new life! Materials provided. 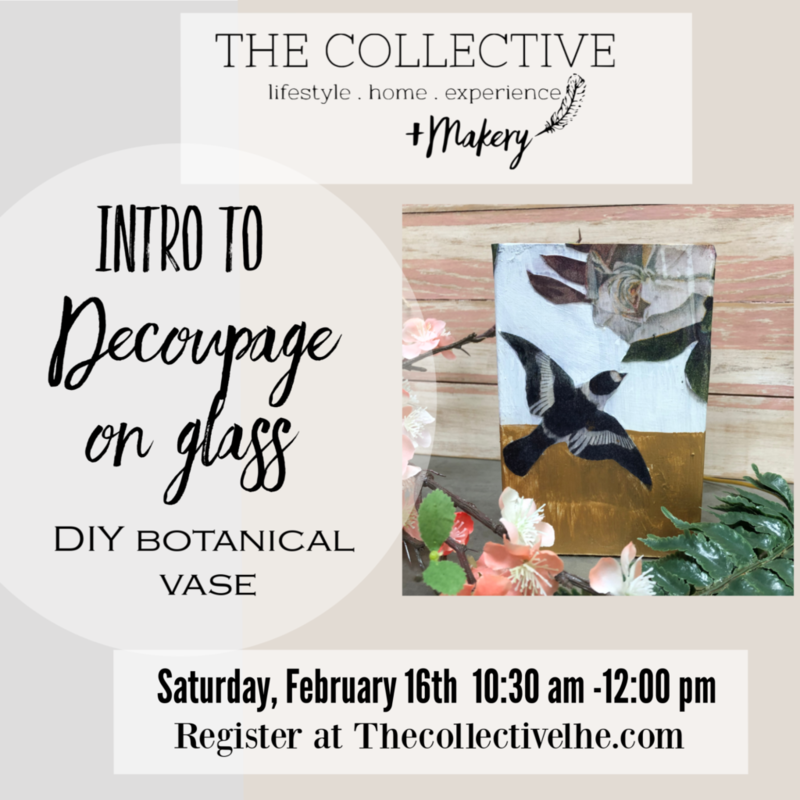 If you've ever wanted to learn the skills behind decoupage on glass, this is your workshop! We'll lead you through the steps of painting and decoupage! Get ready for spring and make a beautiful, glass vase using paint and botanical images. 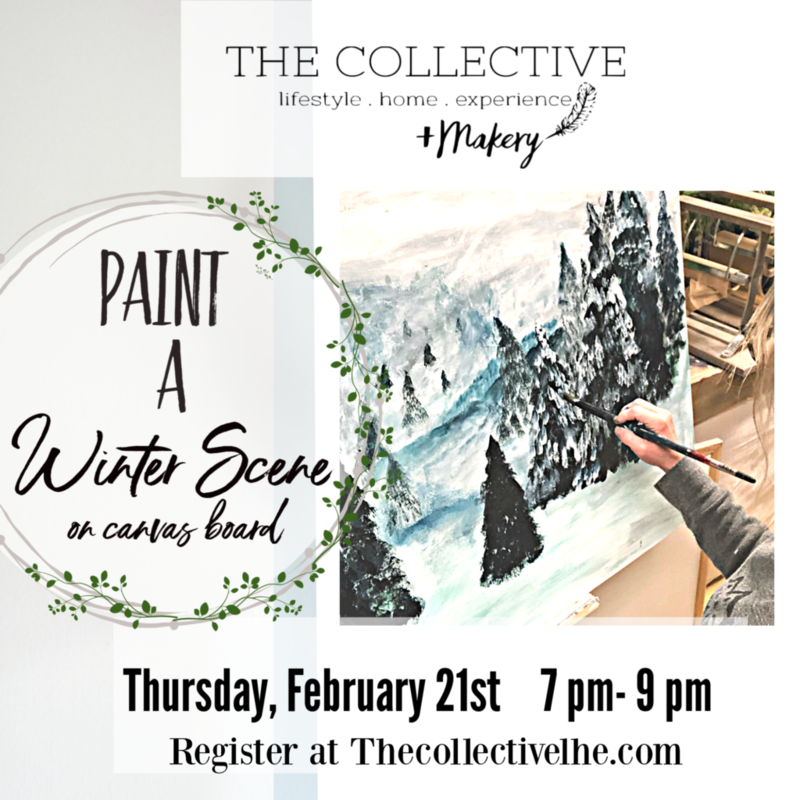 Create a beautiful, snowy winter scene on 11 x 14 canvas board. You'll be led step by step in painting your own scene, in acrylic paint. Your work will be suitable for framing, or displaying. Saturday, February 23rd 2 p.m.-3:30 p.m. 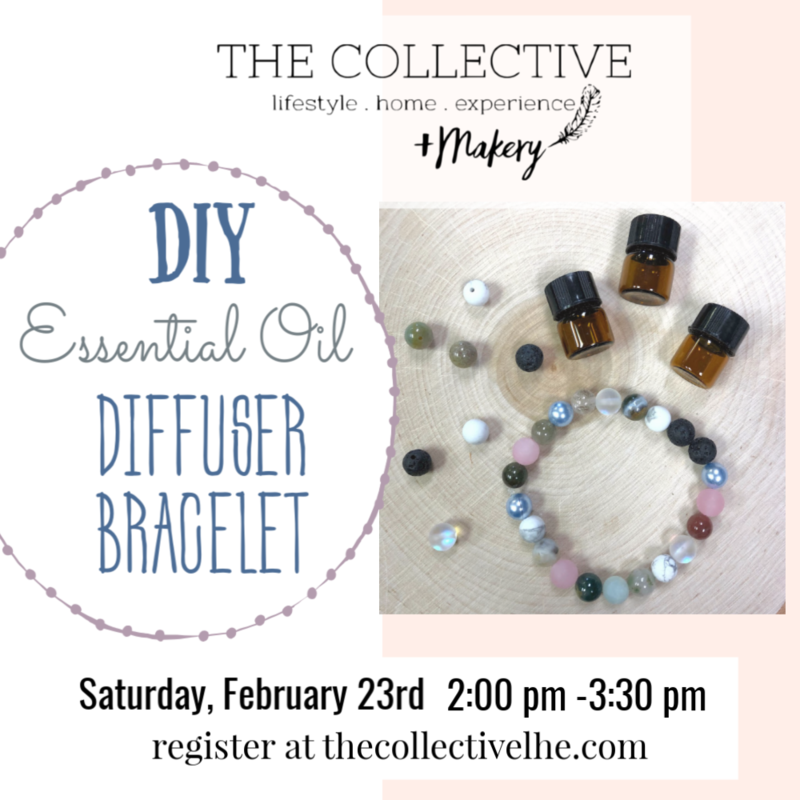 Learn how to make an essential oil diffuser bracelet, and enjoy the aroma of your essential oils all day long. All supplies to make one to make one bracelet are included in this class. Receive one free dram of essential oil to pair with your new bracelet! Additional bracelets can be made for $15. 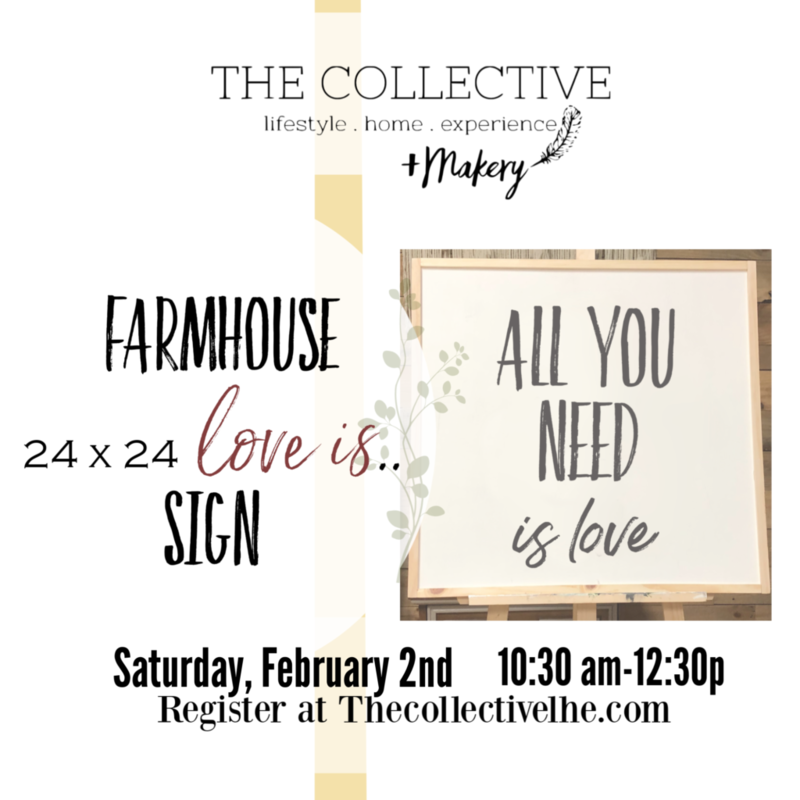 Registration is still open for our March session. Pleases visit March workshops for more details. Thursday, February 28th 7 p.m.-9 p.m. 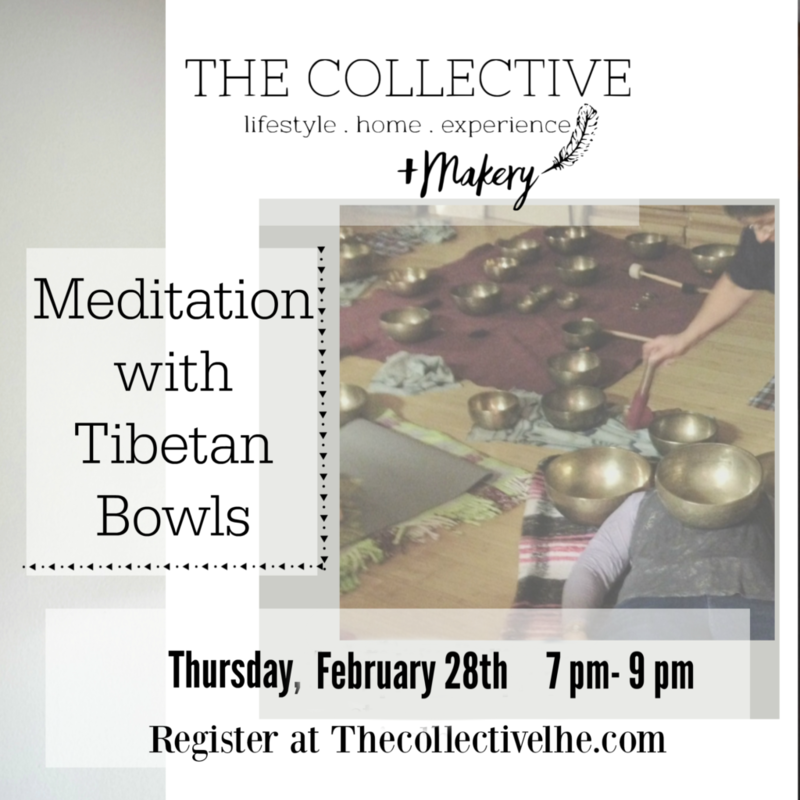 This meditation with Tibetan Bowl experience is like a massage for the soul! This event has a limited participation size, so register early!